The web shop EMP.fi contacted me, asking would I like to make posts on some of their products in exchange of a gift card. I thought about it, and I agreed. I mean why not? 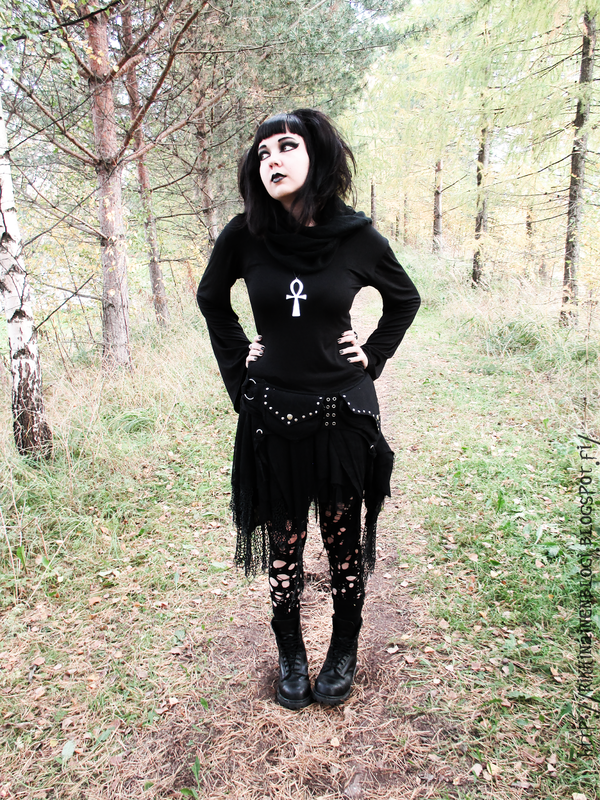 So this post and another one that I am doing in the near future are made in cooperation with the the EMP.fi web shop. 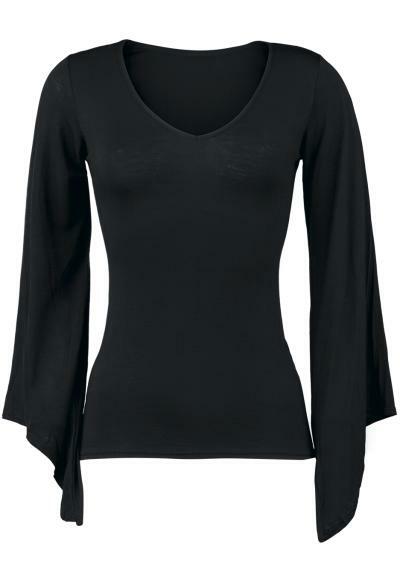 Goth Style shirt with a V-neck. Second shirt that I got was another floppy sleeved shirt! 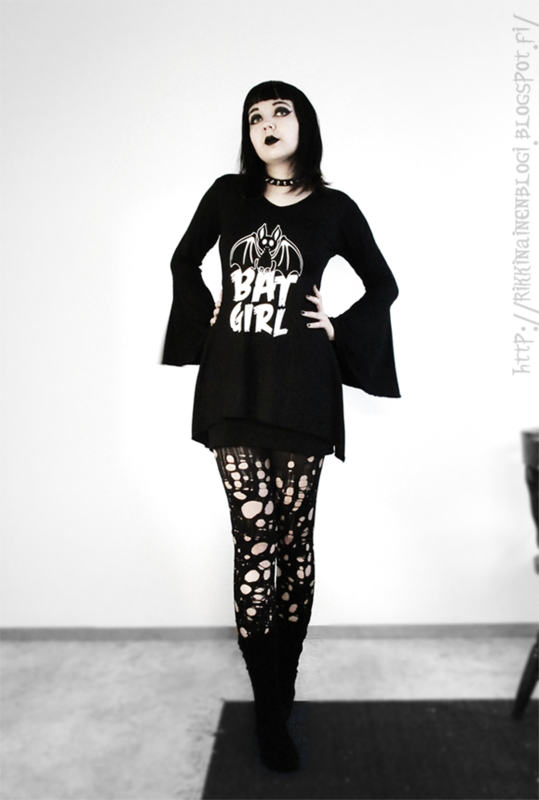 The brand name is Gothicana which I guess is EMP's own goth clothing brand. 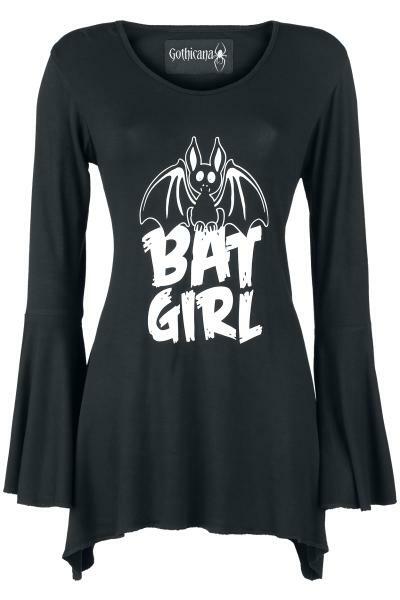 I just could not help but to get this one, because I just love the print, the sleeves and the fact that it's longer on the sides! Too bad though that it is just not as fitted on the waist area as I would have hoped. That's it for part 1. Be on the look out for part 2, I left the goodies to that one! Links mostly take you to the Finnish EMP shop, but just scroll down the page and you will find their shops in different countries if you live somewhere else! Hei, mahtavaa! :> Ja molemmat paidat näyttävät tosi kivoilta! Wow! I love it. I can see why they asked you, you style everything so well! Not 100% sure tho. Too bad they don't have a Brazil one. :c I imagine there ain't that many alternative shops to begin with? It is very handy! it took me forever to find a black one with silver details... I got it from a flea market. Who ever bought it must have gotten it from a eastern style shop they have in Tampere Finland. I have only seen them there before. They do have a web shop but they don't ship abroad. You can find similar ones on ebay, when you search with "pocket belt". But you might need to spend some money, since they seem to be expensive everywhere. :) Good luck!